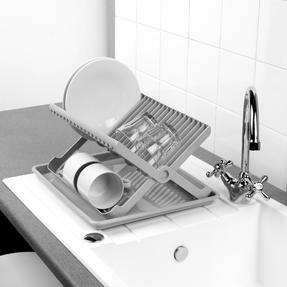 Simple, sturdy and practical, the Beldray folding dish drainer is a hygienic and low-maintenance drying solution that is ideal for everyday use. 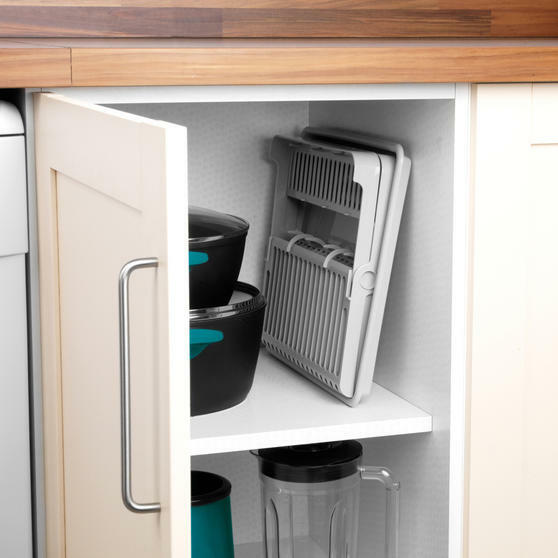 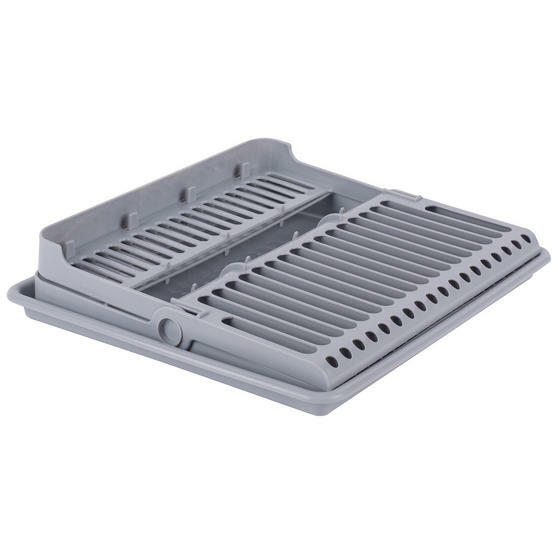 The plastic draining unit comes with an easy-clean tray that can be placed underneath your freshly rinsed items to help keep your surfaces clean, both during and after washing up. 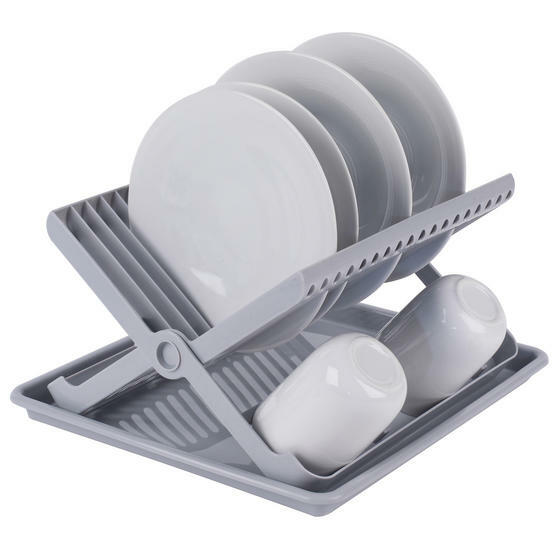 Measuring 37 x 33 x 21 cm and weighing just 0.62kg, this compact rack will fit easily onto kitchen worktops and is fully collapsible for effortless storage when required. 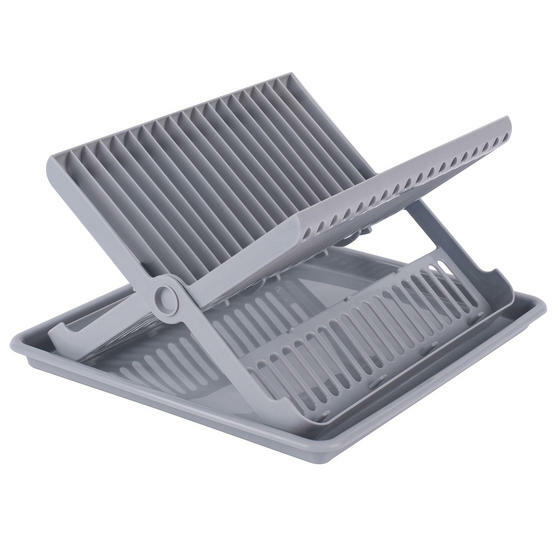 Lightweight and durable, this Beldray folding dish rack offers a simple draining solution for plates, cups and other kitchenware. This compact plastic unit fits neatly beside the sink and can be folded flat after use for convenient storage, even in small spaces. The underlying easy-to-clean tray efficiently collects any drainage residue, ensuring your sink space stays spotless and hygienic. 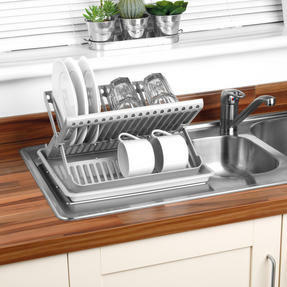 Featuring a tasteful, muted grey finish, this versatile dish drainer will easily blend in with most kitchen colour schemes.